By 1997, B’z had brought hard rock to mainstream Japanese music. Every single they had released since late 1990 and every album, mini-album, and home video had launched at number one. Their work in pop, rock, dance, and everything in between had only grown their fanbase and increased the insatiability that the Japanese public had developed for their output. 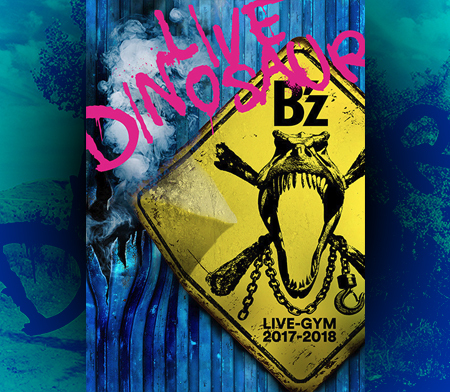 B’z LIVE-GYM concerts were sold out no matter the size of the venue or the location and their stature had garnered the attention of internationally-renowned music artists such as KISS and guitar virtuoso Steve Vai. In February of 1997, a chance encounter was set to take place between the top American and Japanese rock bands on the latter’s home turf. Aerosmith had recently completed work on their twelfth studio album Nine Lives and were in Japan to promote its imminent release. B’z had wrapped on their next single “FIREBALL” which was an unstated answer to the overproduced pop works of the era, with a tagline reading on the inside of its packaging: “No synthesizer & No computer used“. Indeed, the production was so minimalistic in nature that Tak himself had played bass on both its tracks. The single would be appositely suited for what was to come, and two weeks before it would see official release, it would be debuted on television. The venue was the studio for one of the most popular destinations for music on Japanese television, Music Station, and both Aerosmith and B’z were on the bill. Given this was the first time both were together in such a fashion, it was inevitable they would meet. —You appeared together with Aerosmith on Music Station. —Did you even get an autograph? Tak: No, no, no, I didn’t do anything like that (laugh). But, Steven Tyler actually came to our dressing room specifically to say hello to us. Koshi: And it was all of a sudden! (laugh) A solo entrance. Tak: I want to be as cool as him when I’m that age. Following their chance encounter, the two groups kept in occasional touch in the ensuing years. Aerosmith would ascend to even greater heights the following year with the release of their seminal single “I Don’t Wanna Miss A Thing” which would hit number one in ten countries and stayed atop the U.S. Billboard singles chart for four straight weeks. The song introduced Aerosmith to an all-new audience and would, to this day, prove to be their biggest hit. B’z, too, saw their greatest year in terms of sales a year later in 1998 with their tenth year atop the Japanese music scene having culminated in the release of their first compilations: B’z The Best “Pleasure” and B’z The Best “Treasure”. The former collected many of their well-known singles while the latter included hand-picked gems selected by fan voting and re-affirmed by the band themselves. The two collections proved mammoth successes, with the first collection released in spring selling over 2.7 million copies in its first week and going on to move over 5,000,000. This made it the highest-selling album in Japanese history upon its release, and by fall, on the day of the band’s tenth anniversary, the fan-selected collection sold similar numbers and was the third best-selling of all time just months after its release. Doubtlessly, both bands had entered years of unparalleled popularity and success that remain unmatched in their histories. In the summer of 2000, it was announced that the unusual co-bid between Japan and Korea had won the right to host the first ever FIFA World Cup in Asia. The announcement, as expected, generated a great deal of publicity and expectations were high for the event come summer of 2002. Japan had only just made the finals for the first time in 1998’s contest in France, ensuring the sport reached new heights in terms of popularity in the country. For several years, the World Cup selection committee had courted Aerosmith to serve as ambassadors for an International Concert Day that would appeal to people of all eras and nationalities. The idea in place was to have an “International” event and one that was squared as a “Korea/Japan Day” that would mesh well-known artists from both for local audiences while the former would be covered the world over. This was not the first time Aerosmith had reached out to B’z in such a way. Indeed, through 2002, their management had invited the Japanese duo to join them as an opening act on their U.S. tours. Though it never came to fruition, it was postulated as a way for B’z to become the first Japanese artists of the modern era to try cracking into the notoriously restive American music industry. The timing was perfect for B’z: Having just used the start of the year to record and finalize their next studio album, GREEN, a summer outing had already been planned to tour all of Japan. In April, just a month ahead of the 2002 FIFA World Cup’s opening ceremony, the announcement was made: B’z and Aerosmith would co-headline the International Day Concert at Tokyo Stadium which maxed out at a concert capacity of 50,000. The Japanese media sportively labeled the proposition a Battle of the Bands and a challenge from Aerosmith when the announcement was first made. Aerosmith had long been one of the most popular bands of the many to make a splash in Japan, so for the local fans of rock, the event was shaping up to be a once-in-a-lifetime event. Even further, it was soon teased that the two bands had started planning to perform a song together to close the show. Tickets were in great demand, with prices for the “International” version of the show already starting at double that of the “Korea/Japan” variety. To promote themselves in the South Korean market where they otherwise had not yet established their profile, B’z released a mini album in the country at the end of April. The album was entitled DEVIL and opened with the titular track that was an English remake of an ELEVEN album track from two years previous known as “TOKYO DEVIL”. The package was rounded out by four additional English songs from the band’s past efforts, including “Real Thing Shakes” and The 7th Blues version of “LADY NAVIGATION”. To this day, B’z releases continue to be made available digitally and physically in the country. Naturally, in anticipation of the June 27 and 28 shows for the International and Korea/Japan Day concerts, the 2002 FIFA World Cup Official Album was announced and released in May in various Asian countries. The album included the aforementioned “DEVIL” as the B’z contribution and featured other well-known artists that would later perform on the Korea/Japan Day show such as Japanese pop singer Mai Kuraki. By the end of June, after Brazil had routed Turkey and Germany had just bested South Korea—both in close 1-0 matches—the 2002 FIFA World Cup Final was set. Just prior, however, the event’s first ever “Concert Day” was to take place two days earlier on June 27. The world-famous taiko drumming troupe Kodō started the festivities with a performance of the “FIFA 2002 World Cup Official Anthem”. Afterward, only two acts were on the bill for the day in front of tens of thousands of attendees: American rock legends Aerosmith and the undisputed kings of Japanese rock, B’z. It was expected both bands would play 90 minute sets over the course of the five hour concert window with setups and stage work accounted for. As has commonly been the case on the biggest of B’z-related occasions, rain poured onto the crowd at the stadium throughout but never dampened the show at hand. B’z performing at the 2002 FIFA World Cup International Day Concert. While Aerosmith had its set lineup, B’z was in a transition period with its support members. Mr. Big bassist Billy Sheehan had been brought aboard as bassist for the tour while Canadian drummer Shane Gaalaas was playing his first shows with the band. Gaalaas would go on to be the band’s most prolific drummer in their history, but at this time had just been chosen as their latest touring member from open auditions just months earlier. When B’z took the stage and began with their hit 2000 single “juice“—which had only been played on three tours at the time—the tone had been set for a decidedly hard rock affair. This was especially apparent when the second song of the night was the aforementioned English version of “DEVIL“. Certainly one of the hardest if not the hardest in their catalogue, the song was the only English song performed by B’z during their setlist. The rock and roll was not let up when pivotal 1992 single “ZERO” came next, adding to its tally and adding to its status as the most-played song in B’z history. The band then performed 1995 single “love me, I love you” and bundled it with GREEN album songs “Warp“, “Blue Sunshine” with Koshi wielding an acoustic guitar alongside the band, and album closer “GO★FIGHT★WIN” that was followed by opener “STAY GREEN ~Mijuku na Tabi wa Tomaranai~“. For the second-half of their setlist, the band began with 1997 piano-driven single “Calling” which would soon be retired for a number of years afterward. A spate of hard-hitting, high-energy singles then closed out the B’z portion: “FIREBALL“, “Liar! Liar!“, “Samayoeru Aoi Dangan“, and “girigiri chop“, with the only one-year-old “ultra soul” reserved as the closer. While many in attendance would have been satiated if this meeting of East and West had ended there, it was not to be. The collaboration between the two bands had been unprecedented, and featured Koshi Inaba and Steven Tyler sharing vocals throughout in a good-spirited back-and-forth over the Yardbirds’ classic version of “Train Kept A Rollin'”. The song had been frequently covered and popularized by Aerosmith since the 1970s, making it a natural fit for the two bands to use to close this chapter of their joint history. This was a suitable choice for many reasons, including that B’z themselves had already independently covered the song 11 years earlier as part of their Z’b LIVE TOUR—a fan-centered warm-up effort during which they performed numerous classic English rock songs. The performance also featured a stellar guitar battle between Tak Matsumoto, Joe Perry, and Brad Whitford during which each were able to showcase why the two bands had remained at the top of their game for so long. The entire Aerosmith portion of the show, complete with the B’z co-performance, was aired on satellite television and became a popular bootleg offering on DVD. Tak and Koshi on radio discussing the World Cup experience. The 2002 FIFA World Cup International Concert Day was shaping up to be the only time in history that we would ever see a full concert with Japan and the USA showing their rock heritage in tandem. It was indeed appearing to be the once-in-a-lifetime experience it was always billed to be. The twenty-fifth year of B’z mania began with the dawn of 2013 as the band barreled toward their inevitable 25th anniversary shows at Japan’s largest concert venue, Nissan Stadium—just as they had for 2008’s twentieth anniversary stand. In the intervening years, B’z became the first Asian artists to be inducted to Hollywood’s RockWalk, another ten #1 albums, another seventeen #1 singles, and numerous live tours including three in the United States and Canada. Aerosmith had continued to tour the world with nine more tours, a few more feuds, a video game in the form of Guitar Hero: Aerosmith, and a slew of compilation albums and related efforts. Both bands had remained active throughout, with both members of B’z taking on solo projects on top of their band efforts. There would be few if any chances for the two bands to rejoin without a fortuitous happenstance between their respective schedules. Just such a reunion may have been destined, however. As part of their Global Warming Tour that began in spring 2012 and ran through summer 2014, Aerosmith had been trotting the globe as they were known to do. After playing Singapore, Indonesia, and the Philippines, the band scheduled three dates for Japan, with the first of them being a show unlike any other. 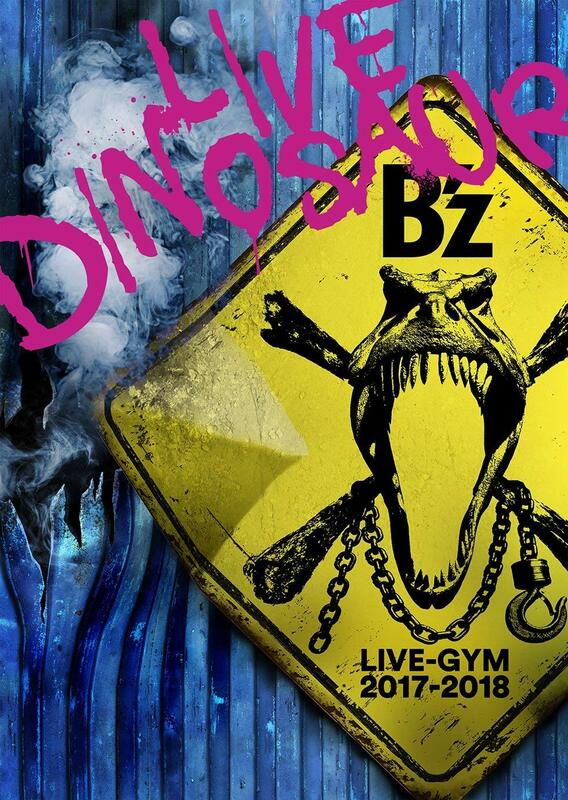 B’z, at the time, was already on the road as part of their anniversary tour event B’z LIVE-GYM Pleasure 2013 -ENDLESS SUMMER-. If there would ever be a time for the two bands to meet on the same stage again, it would have been then or never. 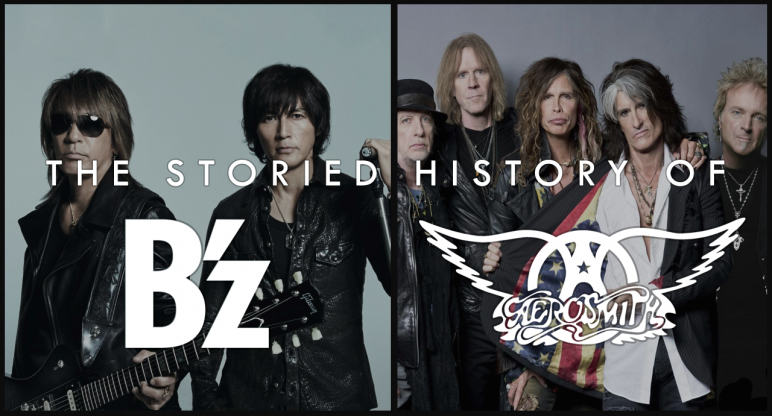 Indeed, placeholder pages found on the SUMMER SONIC music festival’s server fueled rumors that the history of B’z and Aerosmith may not yet be finished. Weeks later, the rumors were confirmed: the two bands would again perform together for the specially-branded AEROSONIC, an unprecedented event at the festival in which only the two rock bands would appear and play full concerts alongside one another. The stage had yet again been set come August 8, 2013 when Aerosmith and B’z both performed independent setlists at Chiba Marine Stadium. B’z performed many of the songs that would be highlights on their ongoing tour including new song “Q&A”, “ZERO”, “LADY NAVIGATION”, “Konya Tsuki no Mieru Oka ni”, “Ichibu to Zenbu”, “Ai no Bakudan”, and “girigiri chop”. Just as had been the case in 2002, it would be “ultra soul” that was reserved for the big finale. 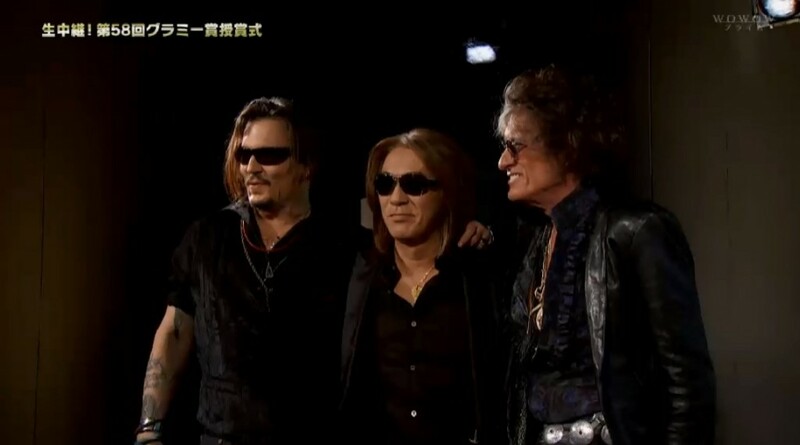 As Tak Matsumoto and Joe Perry shared a hug, Tyler asked what song they should play, to which Koshi announced their next and possibly last collaboration: a rendition of the Aerosmith classic “Mama Kin”. 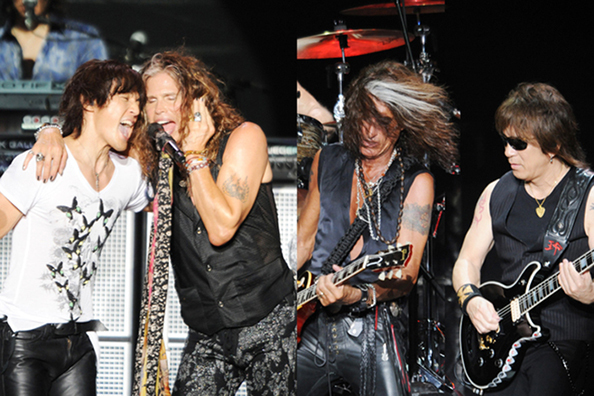 When B’z and Aerosmith parted ways on stage that night, it was to be their last performance together to date. Nearly four more years have passed since AEROSONIC. With Aerosmith now promising their current 2017 tour as their last—with an end-date indeterminate but possibly lasting into 2021—it’s unknown if the two bands will ever again share the same stage. But, that is what everyone thought after their first meeting in 2002, too.